I am a writer fascinated by the natural world and animals. I’m especially taken with the household cat, felis silvestris catus. I feel that humans can grow in compassion towards all when they have direct contact with nature and its creatures. I was also a visual artist until I became ill with a rare chronic neuropathic disease twenty plus years ago. Because of the limitations of the illness, I will have to write and update this blog at a slower than usual pace. This will also be true of publishing and answering comments. I live in Alabama with my husband, a cat, and a dog. There’s another cat in my life we expect to find, who has been missing since the 2011 tornadoes. I’m a lifelong wilderness advocate. I am liberal and progressive, and I live in a like-minded community. It is also a place full of creative activity, with many artists, musicians, actors, and especially writers. I’ve written a book. My husband has written a book. My father-in-law wrote a book. When I think about the number of people I know who are writing something, have had something published, and/or who actually have a book out, I lose count. That doesn’t even include those writers around town I know of, but don’t know personally. I’ve been using the screen name ‘catwoods’ since 2007, partly because it’s the literal translation of felis silvestris and partly because I live in a forest, with cats. Y’all come on out to my imaginary porch where the party never ends and the house cats are watching the screen, meowing at me to get their stories told! December 16, 2013 Note about awards: The awards program among bloggers is very nice and represents good will; I am honored to have been nominated for a few. I’m sorry to have to say I can’t participate at this time due to the health issues that limit my activity level. I hope to see change in the future so I can remove this notice! Sorry to hear that you’ve lost cats over time, we have too and now many are at the Rainbow Bridge. For now it’s best we only have our one little Ultraviolet girl. I did go by and check out your post about Annie and the neutrinos, LOL, it’s quite cute and funny! Thank you so much for you kind words, da-AL! I’m happy you like my blog. I enjoyed visiting your site and I’m looking forward to checking it out more when time arises. I had fun reading your blog and seeing the pictures of cats. My wife is a big cat lover. We have probably had twenty cats during our time. Three left. Many of them are still in our memories as truly great. Morris was the smart one. Baby the cuddles of the bunch and Little Blue could catch animals and leave them on our door mat. Mostly mice and an occasional squirrel. P.S. today is my seventy two birthday and I want to thank you for reading my blog. It made me smile to have a fellow cat lover read my stuff. First of all, Happy Birthday Barry! It’s nice to communicate with fellow cat enthusiasts and I thank you in return for reading my blog! I enjoyed reading about your cats and I always enjoy your blog. It always warms my heart to read the story of how you met your wife! We have had about 15 cats in our lifetime, and helped to find homes for many more. I try to always catch your blog but sometimes miss a lot due to a hectic schedule right now. Enjoy your birthday! Hello Leah – I have a remote cabin I go stay at from time to time.It’s remote enough that no one can hear me cutting up my firewood with my chainsaw.Over the years I’ve gotten to know my neighbours. The resident bear who visits me from time to time is called Leah.I called her that because she prefers to stay around the meadow & Leah is Celtic for meadow. Leah is sleeping now.I won’t see her for months. A Liberal in Alabama? Must be tough.Good luck with that election tomorrow! Hi W, that remote cabin sounds like a really nice place to be. That much isolation would be an experience for sure. I’ve only ever been in such places, with no highway noise and no train noise, a few times in my life. Although I’ve seen lots of wildlife, I’ve never seen a bear in the wild! Happy to hear she has the same name as me. I did know about Leah being Celtic for meadow, and that’s my preferred meaning of the name. Sorry for the delay in publishing your post, and thanks for your good wishes on the election. I had to be away from the computer yesterday, partly to vote, and then came back to a big celebration online and elsewhere because, Doug Jones won! Our liberal candidate won! There are many more progressives in Alabama than those in other regions and nations realize. We just don’t get recognized as much. Although we are outnumbered, our community is vibrant and energized and worked really hard on behalf of Senator Jones. Hi Leah, Love your blog! I would love to send you our product for you to review! We are a disposable, compostable, and eco-friendly pet bowl that is perfect for owners traveling or simply looking to protect their pets from the bacteria that is often lurking in pet bowls! (45% of pet bowls have E. Coli, Salmonella, and/or Yeast/Mold, 75% of pet bowls still had Salmonella after scrubbing with soap and water and 67% of pet bowls still had Salmonella after being washed by a dishwasher!) It is made out of the part of wheat that is typically thrown away after harvest so in the production alone, we are recycling! I can provide you a ton more facts, but I think our products are necessary for pet health! I love your blog and hope you email me for a (free) sample!! Hi Madeline, thank you for your kind comments about my blog. It does sound like you have an interesting product! I’m crazy busy for about the next 6 months and have no extra time for anything, but when things settle down I will consider a review. I’m keeping a copy of your comment so I have your email address. I edited it out of your comment so it would not be exposed to the Internet at large. However, if you want it in the comment let me know and I will restore it. Thanks again! Thanks for the follow, and it’s great to see your site, the lovely images that capture your natural world and the cats. There’s no doubt that your senses are very much alive, even if illness has altered how you juggle those talents. Thank you so much for your kind words, and for following my blog also! Much appreciated! My pleasure finding and following your beautiful blog, I look forward to visiting more when things settle down for me a bit! Si; I hope you find a way to better health. Two years ago dengue/chikungunya co-infection slammed me down, and the chikungunya side effects still appear, especially arthritic-type pain in the joints. Before moving to the neotropics, i had a perennial cough that has basically been absent since I left 17 years ago… Ah, clean air and healthy chemical-free diet are easier to find here, and I think that’s a big part of wellness. Thank you for the well wishes! So sorry to hear you had such serious diseases! Glad you survived but I know that coming back to full strength can be a long slow road. My husband had West Nile meningoencephalitis a few years ago and has a lot of lingering effects to battle daily also. The condition I have is neuropathic and does involve fatigue, and I’m working on getting a book out so I have a long to-do list for some time ahead. May we all reach recovery! Having the clean air and the healthy diet does sound wonderful. Leah, just want to say thank you so much for following my blog. Your blog is really beautiful and unique, and I always enjoy stopping by. Mary, thank you so much for your kind words! I’m happy that you like my blog. Reading your posts on your blog is always a pleasure! Thank you Ana, I’m glad you liked the new article! I’m sure I’ll enjoy your new blog! Someone else mentioned not getting new post notices for me, and I’m not sure why. I don’t post very often, for one thing. But if you rely on email, I have noticed that there’s a list of followed sites in my control area – I’m not sure how I got there, lol – and each site had email either turned on or turned off. I didn’t recall checking one or the other; so maybe when wordpress last changed the settings areas, lots of those got turned off in the process. I usually just go by the reader for the sites I follow. Hi Leah, thank you so much for following my blog. We certainly have interests in common, including nature and — though less apparent in my own blog — cats. I’ve always had a cat or two in my life, the current one was a street rescue and after 17 1/2 years is still semi-feral. He has been my first experience with ferals, and over the years I have learned a great deal of respect for how much he has dared to expand his world and also compassion for his continuing limitations. I love him dearly. I hope your missing cat returns to you some day. It is a terrible thing, not to know for sure what has happened. My pleasure following your blog, Penny! I do love street art and street scenes, and you have captured it all so well! I need to go back and look around when I have time. I found your blog today when I was trying to find out something more about the garage with the cat painted on it. Pictures circulate around the Internet, but I didn’t know until today that it’s in Toronto! Thank you for taking such good and understanding care of a feral kitty. We’ve had quite a few in our life and they vary so much in how relaxed they become, and how fast. Thanks also for your kind sympathy and hopes about our missing cat. It is indeed hard not to know what’s become of him. Thanks so much for liking my drawing/painting Mother’s Day. Your work is great! My pleasure, Nancy, I really like your art. I’m particularly fond of scratchboard techniques. Thank you for your kind words about my pictures! Trina, thank you so much, I appreciate this! I went and checked out your animal portrait page. Your pictures are truly exquisite! Thank you about my photos, I’m happy you like them! You’re welcome, Brianna! Thank you for your kind words, and for also following my blog. I’m having fun looking around on your site, too. cats and forests have quite the presence in my life too. we are “down” to just 5 cats (& 2 dogs) — to me it’s kind of like almost not having any! It’s wonderful to have and love and care for that many animals. The most I’ve had at one time is five cats, and I miss having that many! Thank you, threechattycats, I’m glad you enjoyed the pictures! Leah, I’m just using this as a contact platform to thank you for your faithful attendance at my blog; while I inwardly profess not to care about numbers and visits, let’s face it, they do encourage us. No need to post this; you may if you wish. I wish you a fruitful, encouraging, reviving new year. Lauren, thank you also for viewing my blog, and commenting. It certainly does make a difference in my outlook. I should return comment on the blogs of everyone who comments on my posts, or at least make a post thanking everyone, but neither is possible at this time. Three severe weather alerts in 4 or 5 days have just drained me, and the to-do list is looming. I am enjoying your blog! Merry Christmas, Leah! Warm (literally) wishes from Texas. Sorry to be delayed getting back to you! Just got back to the computer after last night’s severe weather watch. I’m not skilled enough with the phone yet to post comments with it. You stay safe too, Kerry. Slight risk remaining for us tonight and tomorrow, then again on Mon. Having been in one, I understand the risk in a way I didn’t before. Brenda, thank you so much, I am honored to be included! Unfortunately I will have to decline because I just can’t fulfill the requirements at this time. I’m a little extra tired now and have too many obligations. I’m very flattered! I’m going to follow your blog. The rules say that you do not have to nominate anyone else. Please accept. Well, I could accept, but I hadn’t planned on posting again for several months until I get my book done. I’m out of stream today after 2 hours of activity, and I don’t even know how to display the award logo, which is very beautiful BTW. Maybe I could try sometime after the holidays; whatever you think best, I’ll try to do. Please do nothing to stress yourself out. Just be aware that someone appreciates your writing. A book? How wonderful. You write beautifully Leah. We have a lot in common – a love of cats and all nature, The South (I’m from North Carolina and lived in Mississippi for four years), progressiveness and art. Impressed that you found a liberal corner of Alabama. Glad I found your site! Thank you for your kind words, Deanna! I’m happy to meet you online, to have found your site, and to have so much common ground. Looking forward to exploring your site when more time opens up for me. Nice to meet you also, and I thank you for your service to our country. I think it’s great that you are documenting the Pacific War and have dedicated the site to your father. Go ahead and delete the picture – I won’t be upset about that! OK, I did that. Appreciate you being understanding! No problem… I’ll try this one for an apology? You’re welcome, itsgoodtobecrazysometimes! I will certainly come back and read more, just don’t know how soon as I find myself with many neglected tasks. I’m slow about doing things, but sure! Oh sorry to know about the fourth cat in your life. I hope you find him soon.. I love cats too and can think of nothing better than living in a forest with a bunch of cats. I currently live in Mumbai city, which is choc a bloc with buildings and not a tree in sight. *sigh* anyway am happy to find your blog.. Tc! I am so glad you liked the autumnal post. It is so weird seeing everything half green and half rust but magical nonetheless. Just lovely pictures and words, Kerry! I wanted to leave a comment on your post last night, but I’ve had trouble with hand pain lately. If it’s not one thing, it’s another, as they say. Will try today! Oh Leah, I am so sorry – no need to worry. I find that my neuropathy starts tingling when the seasons change until my body adjusts. I hope your hand feels better soon. Celebrex is the only thing that works for me. Your passion for writing and the natural inspires me. Hope you’re experiencing better days, and I look forward to reading so much more. Thanks for the visit! Thank you for your kind words, Kris. I enjoyed visiting your blog! Thank your stopping by here and commenting! I’m very glad you are feeling better now, Kerry! I do have another post in mind, but I haven’t been too well lately, so it’s slow work as usual getting anything posted. Of necessity, I’m a total slacker! It will be mainly cat-themed, as I promised Bud the Cat. Warmest wishes for your well being! Thanks for visiting and liking my post. I’m truly intrigued by what I see on your blog and will be interested to read much more from you! I enjoyed visiting your blog, Carol, and will be back to look around more when time opens up. Thank you so much for visiting and commenting! You are the only blog I am now following from Alabama. I try to be discriminating as I cannot follow too many blogs and actually read every post, if you know what I mean. One of my thoughts is to follow a blog in each state–then I would have cat country covered. lovely photos by the way. Thank you for following, Greg and kitties, I am honored to be the only one from Alabama! I know what you mean about getting around to all the amazing blogs out there, that’s difficult for me also especially as my connection is throttled at the moment. I’m happy you enjoy my photos, I’m certainly enjoying yours! I hope you can handle responsibility for representing the cats of the great state of Alabama! LOL I hope so too Greg! I have a start, I have a book about them all that I’m trying to finish up. Got to admit, though, that one of our cats was from FL and one from TN. THANK YOU for visiting my blog! yours is a marvel with my favorite things photographed so splendidly. I am now following your posts. I am not posting much lately because of health issues (me too! ), but there are over 400 past pages for you to visit and you are most welcome to tell me what you think. Thank you for your kind words, vera, I am so glad you enjoyed my photos! I visited your blog quickly and found you have such beautiful pictures! I look forward to going back when I have some extra time to really look around. Best wishes! A pleasure to meet you, Leah! What a great About page—so many are so cagey about their interests and beliefs and loves that it’s hard to guess whether the blogs are even written by genuine, individual humans. I would guess, from yours, that you’re not only a delightfully smart, interesting person, but one I’ll enjoy getting to know better through your writing. Thank you, Kathryn, for such a lovely comment! It’s a pleasure meeting you also, and I have enjoyed looking around your blog! You have articulated one of my criteria for ‘liking’ posts on other blogs! I look carefully at a blogger’s About section. I sometimes avoid blogs with too little information about the person doing the posting. Warmest wishes! I feel that when we do connect; when something I write coincides with you feeling well enough to respond, that your comments are all the more special when they arrive. As with any good friend, it does not matter how often we speak, for when we do, it is as if we only spoke the day before. Karen than you so much for your thoughts, I always love to hear from you. I loved your post today, with the picture of handsome Josef! He looks very much like a cat we have been privileged to have live in our home, Booper Minou, a tuxie who also had the white chin. Bud definitely returns good wishes to Otto and Josef! Thank you for being such a good friend even though I don’t get to send greetings very often. I have some extra medical things to sort out, which may take awhile. I hope to return feeling better and able to get around more easily. Meanwhile, all the best going out to you! Hello, I’m plain old Bob. I found your site through a common admirer, CDog. I looked through your entire blog site and love the way you write as well as your photographs. I live in Portland, OR in the Pacific Northwest and am a retired photographer. A staunch animal advocate I find animal photography has replaced my human portraiture. I’ve bookmarked you site and hope to return on occasion to catch up you your posts. Thanks for blogging. Bob, thank you so much for stopping by, and for your kind words! I checked out your site and your photos are stunningly beautiful! I have some health matters to take care of for now, but I look forward to returning to your site and looking around more. I feel a kindred spirit. My chronic anxiety and depression make life difficult at times and limit my writing to happy moments. Our three geriatric Egyptian cats give me so much fun and laughter. Thank you for visiting my site. Your blog is lovely and inspiring. Kerry, thank your for kind words! I’m sorry to hear about your anxiety and depression, and send you good thoughts for getting through that. It’s wonderful that you have adopted older kitties! They are indeed such a pleasure. I really enjoy your blog, since I can’t get around much it’s a welcome glimpse of scenes in both other countries and the US. It is ironic that I have no anxiety about traveling anywhere and it is my great privilege for you to be my virtual traveling companion. Oh thank you Kerry! I’m pleased to be a part of your travels! Many thanks, Snowflake and Starlight! My pleasure reading your blog, Sandra! Thank you for visiting; good wishes go out to you also! My pleasure, Ray, I enjoy your blog! Hi! Thank you for visiting my site. I think your handsome Bud and my cutie Jack would get along very well. You are very smart to surrounded yourself with animals. They are wonderful healers and so compassionate. They make every day better! Bud and I thank you for visiting and for your kind words! Bud and Jack would get along for sure! You have described animals very well, I just could not live without them in my life. All the best to your and your animals! 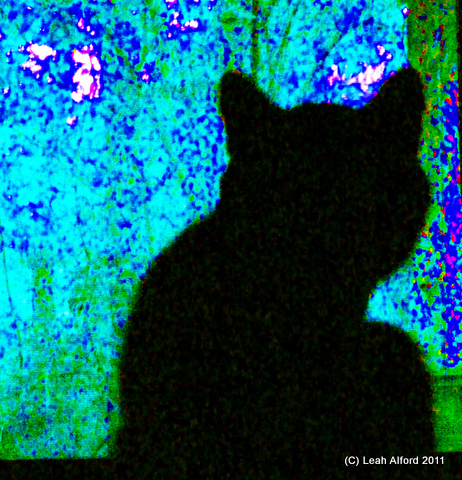 Thanks for stopping by my blog and clicking “like” on the post about my cat TC. He’s a rescue cat I’ve had since he was just a month old. His lot was to be a barn cat where his life would have been short and cruel. Now he is here and is such a joy to be with. I was looking at your flood post and the pictures. Hope it doesn’t get worse. I enjoyed visiting your blog; TC is a beautiful cat! Good for you for giving him a great home! Thanks for visiting, and for your hopes on the flooding, but that flood is over. It was back in January after about 4 or 5 inches of rain in one night, and it’s long gone for now. Of course we could always have another heavy rain! In prior years I’ve seen the water higher than what you see in these recent pictures. My dream is to eventually live in the woods (and be able to afford more than one cat!). Your creative community sounds absolutely wonderful! Thanks for stopping by my blog and I look forward to more of your posts. Thank you for stopping by Lauren, and for your kind words. My pleasure viewing your blog! Best wishes and hopes that you realize your dream of living in the forest, with more than one cat. It’s a wonderful way to live! Thank you for liking my post on Journey, Limerick and Alliteration. I like the name of your blog and your screen name. I will look farther at your blog and hope you will be able to do some more writing yourself soon. Thanks for stopping by, Mitsubachicats1! Thank you for your kind words. I enjoyed your post, and I hope you will be able to do more writing also. I’m still getting some writing done, but it goes slowly! I am trying to do more writing with this writing 201: poetry course. And definitely really had no problem with the first 2 assignments. However, Day 3, Trust, Acrostic and Internal Rhyme, I don’t think in that form. I’ll have to do a lot of thinking to figure out my take on it. And so it goes. Also, I do not insist on others writing out my complete screen name. Mitsu is just fine. OK Mitsu! A venture into unknown writing territory can be a fun challenge, so enjoy! Hi. Thanks for stopping by my blog and reading about PK. I enjoyed your observations. Thanks for your visit, abbylynn, and glad you enjoyed the post. My pleasure reading about PK. He’s a beautiful cat. Thanks for visiting our blog. I’m already fascinated by your wood and your sensitive mind. Will you write a haiku on cats for us? Foxelle, thank you for your kind words! My pleasure visiting your blog. I like the idea of cat-themed haiku. I’ll try for the haiku but can’t make promises due to my health issues, plus, I usually don’t write very fast. I often have to just wake up with words in my head, after thinking about something for weeks! I’m sorry to hear you’ve been unwell. I’m glad that your pets provide comfort and enjoyment. Pets are wonderful that way! Thank you for taking the time to visit my blog and read my poem. I’m glad you enjoyed it. Keep writing – after all, we all have something worthwhile to say! Thank you for your visit, Stephen! I enjoyed visiting your blog and would like to encourage you to keep writing also! Thanks for liking my post, “A Toast To our furry friends at Christmas.” Like your blog too. Following as of today. My pleasure, marjma2014! I enjoyed your furry friends post. Thank you for following, I will follow you also! Thanks for “like”, glad you like. My pleasure, that’s a vibrant painting! Very pleased to meet you also, movingtowardsthelight! Oh, ok Vonita, you have a very pretty name! Thank you for finding our blog and liking it. We’ve never been to Alabama but our Mom says she’s driven through there. We like to meet humans and fur people from all over so we’re very glad to meet you! My pleasure, Hemingway and Shakespeare! Very pleased to meet you too! Thanks for checking out my blog! I am enjoying your pics! Great place to live! Thank you, Kat! I’m happy you are enjoying the pictures! Thank you, Victoria! My kitties love to hear that! The natural setting here does help keep me grounded. Thanks for liking my blog. I’m a latecomer to the world of cats, having usually lived with dogs. However, after my last dog went to dog heaven, the sweetest little cat arrived at my door and stayed! She wore a collar and I’m sure had another home but…I’m sure my dog had sent her. Now my last cat has gone to cat heaven I wait and see what he will send. Love your blog and good luck with your health. Thank you for commenting, Kate, and for telling me about your dogs and cats. I do agree that after they leave us they send other animals to help us get through. I enjoyed your blog; all best wishes going out to you! Since that last comment, another cat has adopted me! Owned by a family up the street- many children, two dogs and three cats. I think this little cat was the bottom of the heap and so has moved here. My third cat who has chosen me and black and white. They have all been black and white!!! This one, named Blackie by the children is a sweet and gentle little being.I have resisted ownership but there comes a point where… so, I accept and am grateful. Thank you for the visit! How lovely to live in the forest, to be with nature in that way, the smells, sounds, wildlife, everything! My pleasure, I enjoyed visiting your blog, naturesweetgrace! Indeed it’s a constant delight to live in the forest! There’s always an adventure coming along, and something to photograph. Thank you so much for the nomination! (From http://ddominikwicklesromance.wordpress.com/) I really appreciate this, it’s very flattering! Unfortunately I have to decline at this time. I can’t fulfill the requirements, due to many pressing matters, mostly related to health. I’m uncertain as to when I can even do another post on this blog. Hoping everyone understands. I look forward to taking some time to look around more on your blog, ddominikwickles, and to check out the blogs you have nominated. All the best wishes going out to you! I’ll crosspost this on your award post. Nice to see your footprints again. You are welcome any time. I loved your photos of water’s reflections. I’m getting a good camera as a birthday present soon and hope to be able to “shoot” those things I don’t have time to paint I look forward to further exploring your blog on other visits. Glad you enjoyed the reflections! Hoping to get back to the creek soon, but well, this time of year there are snakes, so we have to be careful. I look forward to reading more of your blog, too. Since I can no longer paint, photographing has been the next closest thing in the visual arts arena. So I feel you’ll probably find it a good way to go for any time painting or drawing isn’t possible. Thanks for dropping by and leaving the “like” footprints. I came to glimpse your world and liked what I saw. You touched lots of kindred notes in your words and images. Think I’ll follow. Even if your posts are not so frequent I think they will be well worth visiting. Wishing you “good days” to enjoy the summer. Claire, thank you for visiting, following, and for your kind comment. I enjoyed your blog, and will follow. Hoping you also have a lovely summer. There are a few post ideas in the works now, but I’m still, roughly, a month or so away from actual posting. It’s a pleasure to meet you also, Helen! I enjoyed seeing your cats, and your fabric arts – really nice work! Great blog. I’m glad you find one of my posts so I could find you! We have so much in common; cats, trees, liberal, progressive. But I’m not as creative and well-written. I love your art and photos – and your gorgeous kitties! Genalsh, thank you so much! The kitties will be pleased! I am happy I found your blog, also, with its positive direction. Your kitties are most beautiful! Hi there Catwoods, thanks for liking my posts. My Mum is enjoying reading your blog. (I’m a cat, I can’t read). Lovely cat photos, lovely cats! Milo, my cats and I thank you so very much! You are a very beautiful cat yourself, and I enjoy your writings. Really enjoyed seeing your cat photos! Sounds great, Leah — looking forward to it! Sorry it’s taken me a while to get back to you, Leah. I certainly understand about your schedule and health issues keeping you busy. When you do clear out some time, please contact me. I’d love to talk animals and blogs — and your book! My name is Deb, but I’m mostly going by my blog name. However, that may change. Have a great day! Deb, will look forward to this! Will be in touch later. Thanks for liking my post today, Leah! I’m new to blogging and just finding my way around (well, stumbling actually), and I was very excited to find your blog (I’m following you now, btw). I’m also interested in your writing, especially your essays and book. I, too, write essays, and I’m currently working on a collection of essays and short-short fiction, but I’d also like to write more about animals and the environment. Anyhow, I’ll try to check out your work, and maybe sometime I could interview you, via computer, about your book, for my blog? Have a great day! Cdog, thank you for your kind words! I enjoyed visiting your blog and I would certainly encourage you to write more about animals and nature, or anything that inspires you. Wow, that’s a flattering idea about doing an interview, and at some time I might be willing. Sadly, I have to say it will be about 6 to 8 months before I could do that, though. A crowded schedule plus health issues means things have to happen slowly. I noticed that your name above is not a clickable link that leads to your blog? Maybe because it’s slightly different than the name on the blog? The avatar won’t click, either. Maybe something WordPress could help with. I enjoyed visiting Storyteller, Ray! So true about the storms, we have to keep a constant watch on them. The 3rd anniversary of the tornado here is coming up. I may or may not do a post about it. Joe, thank you very much for appreciating my blog and for the kind thoughts you have posted here. I visited your blog and was very impressed! Your goals of peace, harmony, and care of the environment are all very close to my heart. I’m very flattered and honored that you have nominated me for an award, thank you! I can only accept if I don’t have to do anything! That sounds awful, I know! But much as I would like to return the kindness of anyone who nominates me, I have a very challenging time ahead, with increasing health issues. What seems like a small amount of activity for most can be enormous for me, so I have to reduce my task load for now. It appears I don’t have to do anything regarding this, so I’ll accept. Although I will do more blog posts in the future, it won’t be very often. I will try to get around to commenting on the blogs of all those who have commented on mine, but even that will take me a considerable time. Meanwhile I just want to let you know that I do love the focus of your blog and will look forward to keeping up with it. Thank you so much for visiting my blog. I’ve enjoyed reading your About page and hope that you regain the strength to participate writing more again soon. Barbara, thank you so much for your kind words and wishes! I enjoyed looking at your blog and will be back when more time opens up for me. Best to you also! I love other liberal and progressive artist, cat-lover types. I’m sorry about your health and hope you feel much better soon. Thank you for your repeated visits to my blog. It’s a pleasure to hear from like-minded people, Candace, I appreciate your comment! I’m really enjoying visiting your site. I have now caught this year’s long-lasting flu, so it will be awhile before I’m back to blogging myself. I am so sad and sorry to hear this, Barry. The natural world can be harsh, and I have no answers or understanding of that aspect. My sympathy and wishes for peace and comfort go out to you and your wife. My family and I have taken care of ferals and outdoor cats, and have known the potential for heartbreak. Sorry for the delay in publishing your message. Delays on my part are going to happen more and more due to health and computer issues. The old year brought you to us that we feel lucky and loved. Thank you. Yelloz & Family, how pleasant to find this warm message here today as we welcome the coming of another year! Thank you so very much! I’m happy to have found your blog also, and wishing you all many blessings in the coming year. Thank you very much for finding the effort and time to write such a beautiful reply. Thank you, Yelloz, Z, and family, wishing y’all a Merry Christmas, Happy Holidays, and Happy New Year! Hi, Leah – Thanks for liking my post, I am in a slightly similar situation to you in the fact that I can no longer put paint to canvas due to fibromyalgia so have developed digital art. In fact, a huge door has opened to me and I’m grateful I’m now on a different art path. As for cats, when we moved to North Cyprus, we said, that’s it, no more pets. A few days later we got adopted by a white cat who, once she’d got her paws under the table, parked her two kittens with us. These were followed by another ginger, black and white stray with one eye. Sadly one of the kittens disappeared but we still have three cats who have been joined by four rescue puppies. So much for deciding not to have pets, they decided otherwise for us! I like the art you are doing now, but am sorry to hear you have fibromyalgia. Thank you for visiting and telling me about your pets. We know exactly what you mean about the way pets find us, that is the way most of ours came into our lives. Hello Catwoods! MEOW! Thank you for visiting my photo blog (www.kjphoto.us) and liking one of my photos. I hope you enjoy looking and liking! I like your blog and will follow. I too am a cat person, and we have 3. I like to call them my mini mountain lions. LOL! Anyway, I enjoy seeing photos and blogs from all over the country, and in deed the world and glad you visited so I could find yours. Thank you! Hope your health improves and to hear from you soon! Thank you, KJ! Having lived with many cats, your mountain lion comparison seems apt! I am actually from the MD, DC, and VA area, but haven’t been there in many years. I enjoyed visiting your blog and hope to get back soon. I’ve nominated you for two awards. Thank you for being a part of my life!!! Yelloz, thank you so much for nominating me for these awards! I feel very honored! And many congratulations on your nominations for them also! Unfortunately, I have to decline, because I can’t fulfill the requirements at this time. My health issues and a heavy schedule means I likely won’t be able to do another post for awhile, maybe even as long as a month or two, unless it’s something really short. I do hope in the future, to be able to comment more on the blogs of those who have been so kind as to comment on mine. Your blog looks great and I look forward to following it! Again I thank you for thinking of me, and I express my regrets that I can’t participate in the awards program at this time; I do love the good will that it represents. All the best wishes going out to you! I will cross post this message on your blog. Do you know what I like about this award system? The sharing of it, to experience the excitement of receiving and giving it. That is just like the summary of life from my point of view. We just give and take voluntarily or sometimes obligatory. Even to breathe is likewise, as we breathe in and out. This is an equilibrium. It’s OK if you can’t accept it because of your reasons, but you deserve it and please accept it as a symbol of my belief in love. It’s an honor to have met you on this porch of yours. I will pray to you and to your family for health, peace and joy. Thank you for your reply and honesty. Yelloz and his Servant Z.
Yelloz and Z, thank you for your understanding, and kind wishes for us. I also wish you many blessings. To you also, Y&Z, I wish you the Happiest of Holidays! Thank you for visiting! It’s a pleasure to meet you! Hello from Ottawa, Canada. It’s always a pleasure to meet another cat person, writer and photographer (well, I’m an amateur). Marneymae, thank you so much, for your appreciation of felines and for your good wishes. Warmest wishes, all the best to you in return! How nice to meet you–a like-minded nature-lover and advocate, artist, liberal-progressive and cat lover as well! It’s a pleasure to meet you as well! I have really enjoyed your web site, I’ve just been so busy that I haven’t been commenting much on other blogs. I hope to have more time open up in a few months. My wife is a big cat woman, we have in the past years fourteen. Six left. One Morris is the smartass cat I have ever seen. He locates food. He opens doors. He looks that he thinks deeply. I am sure he is a reincarnated spirit of Einstein. Very good to hear about families with cats! My husband and I both enjoy felines. Your Morris sounds like one clever kitty! Hi Leah. Thank you for visiting and following HoB. Much appreciated! My pleasure! I enjoyed your blog!